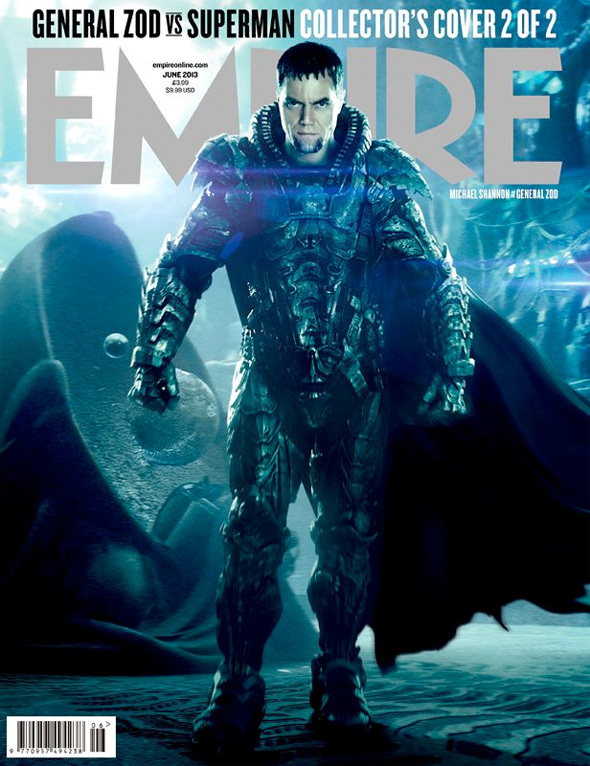 Though the hype for Man of Steel hasn't yet started delivering character posters (and we're not sure it will just yet), a couple new magazine covers have popped up for the latest issue from Empire, and they feature Superman (Henry Cavill) and General Zod (Michael Shannon) looking like formidable opponents. In addition, a couple new posters have popped up. 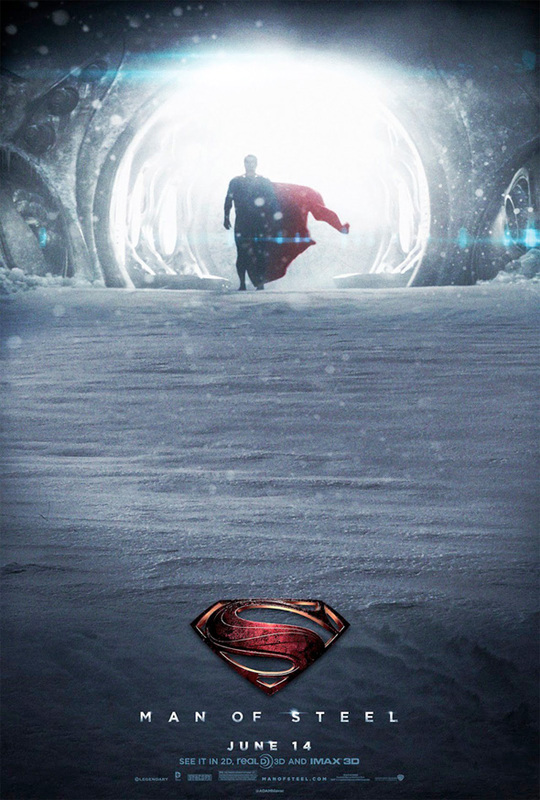 One is a wide banner featuring Supes ready for flight while the other seems to be the newest theatrical one sheet, but it's just fanmade (which is why it's a bit underwhelming) of an obscured Superman in a cavern at the Fortress of Solitude. See the images below! Zod be rockin' dat Caesar! That doesn't look like a Superman film I want to see. You can always not see the movie, more space in theatre for me. I'm going to save my money for something else and pass on Man Of Steal, I mean Steel. why not go to "ironman 3: the rehash".....or "avengers2: the money grab"? michael shannon and ben kingsley are gonna make superman and ironman movies worth seeing. 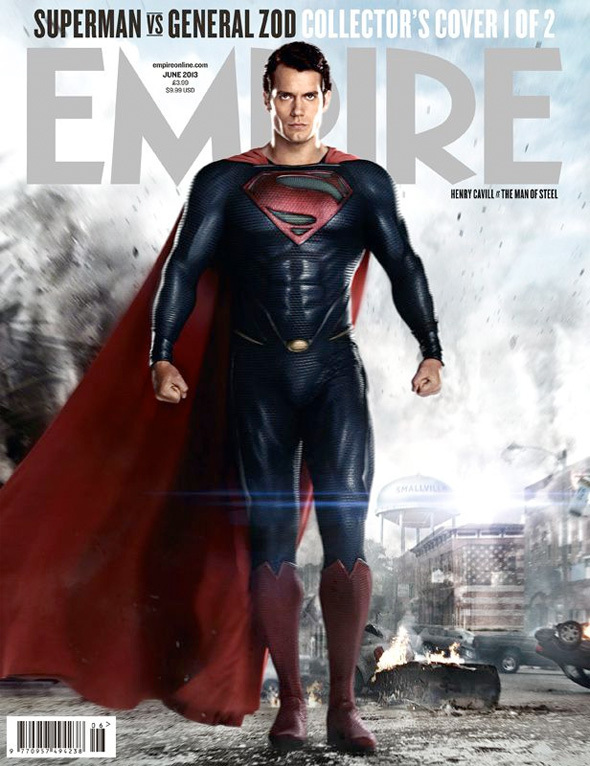 I've never liked superman, but this looks pretty awesome. They should have mocked up a shot that looks like the cover of Action Comics #1.